What is the Knack Standard theme? The Knack Standard theme is our latest design theme which focuses on responsive and mobile performance for the Live App. This theme includes a CSS system where classes and styles are easy to adapt and customize. Where do I access the Knack Standard theme? The theme is set under the Live App Design area of the Knack Builder. Instructions on this set up are further outlined below. On that page, choose “Knack Standard” theme under the Theme option. Please see the main Live App Design help article: “Page Menu Style” and “Page Width” sections for details on set up options for this theme. The Knack Standard theme has significant changes to markup from the Classic and Flat themes. This means that your custom CSS selectors may need to be updated. We are able to assist in updating custom JS or CSS to accommodate the Knack Standard theme - this does not mean we'll update your code for you, but we can give pointers on what to update to get your code working again. We strongly encourage first testing out this Knack Standard theme on a copy of your app before using on your live, production app. The mobile menu has been updated to facilitate a more mobile-native feel. All views (tables, reports, etc.) are constrained by the page width. This allows these elements easier to scale on devices of all sizes. This is a behavioral change for some apps that have large elements (like tables) for users viewing your app on large monitors. Scrollbar is at bottom of records displayed. This works well where the record count is small per page and fits within the window height, or where your users will be viewing with a touch screen. This new display allows for tables to be constrained to the monitor size and creates both vertical and horizontal scroll bars when the table is wider than the page, along with 'sticky' table headers as you scroll. This option displays multiple tables on a page cleanly and allows for many records to be displayed, but not take up too much of the page. 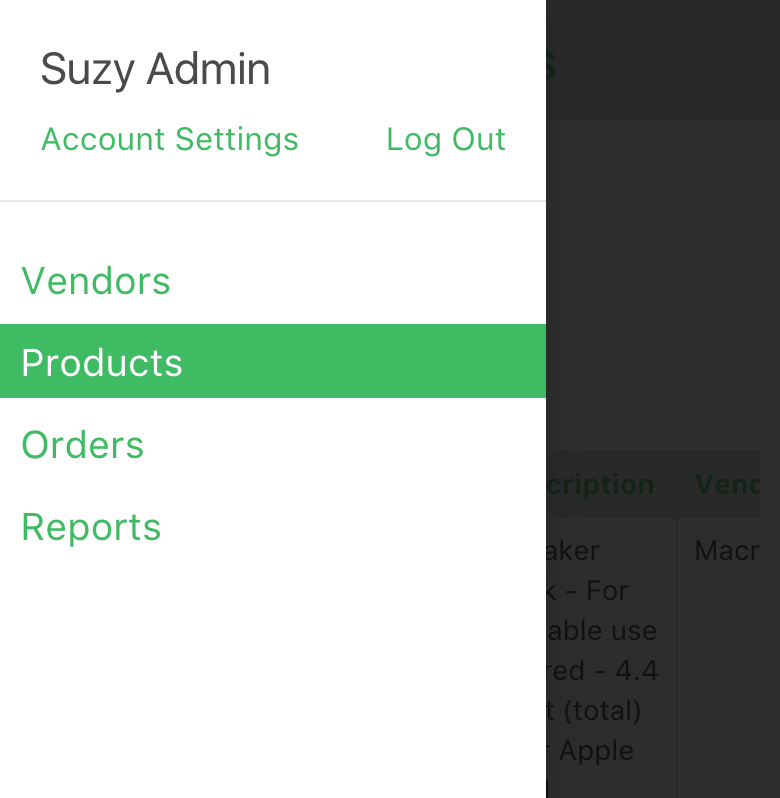 Form input fields now match column width. This applies to pages where the Setting option “Display page in a modal popup” is enabled. If the modal is longer than the screen height, the header of the modal will stay put and the content will scroll below it. Modals now better fit within screen sizes on different devices. iOS and Android users on their mobile browser can choose to add a Knack app to their home screen, it will now open and behave more like a native app (will remove the browser/url bars, etc.). Plans are also underway for users to be able to customize the app icon. The Knack Standard theme has significant changes to markup. This means that custom CSS selectors may need to be updated. You may find that very specific markups, no longer correctly target the element you'd like. We suggest, where possible, making your selectors a little less specific. Along with updated markup, the Knack Standard theme has a completely new class and style framework that is more consistent and easier to use to add customization to your live apps. We’re listing a few of these classes below and will be adding further documentation to our developer docs.